In July of 1941, in the Nazi concentration camp of Auschwitz, three prisoners escaped. This was, no doubt, embarrassing to the camp guards and their commanders. So, in their typically brutal way, it was ordered that ten male prisoners, randomly selected, would be locked in an underground bunker without food or water and left to die. When the ten men were selected, one of the men cried out, “My wife! 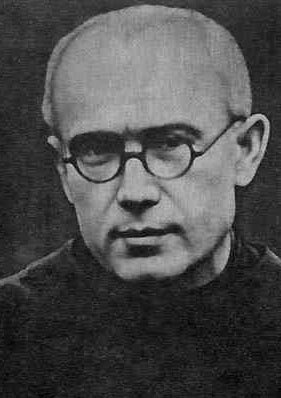 My children!” Upon hearing his cry, another prisoner, Maximilian Kolbe, a Catholic priest arrested for helping hundreds of Jews avoid arrest, asked the guards if he could take the man’s place. Two weeks later, in that underground bunker, Kolbe died alongside the nine other men randomly chosen to die. Kolbe didn’t risk his life. He didn’t go to the bunker with a heroic plan to escape. He voluntarily took the place of the other prisoner, and he knew he would die. Kolbe’s sacrifice is amazing. It’s rare that we see such selfish love. Our movie heroes usually fight their way out of these situations. Most of us know that we wouldn’t have the courage to die for a stranger. And yet Kolbe did. This kind of love and sacrifice is so rare in our world that it immediately gets our attention and moves us. It inspires us. A great problem of the Christian life is that we become so familiar with the basic teachings of Christianity that we are no longer amazed at these amazing truths. Yet, the type of love that Kolbe showed when he offered his life in exchange for the life of his fellow prisoner is found in the amazing display of love in the cross. Let us never become so familiar with the sacrifice of Jesus that we lose our amazement at it. If it is true, it is the most amazing act of love the world has ever and will ever know.